MainAll NewsInside IsraelLabor panicking; Alliance with Meretz coming? Senior Labor officials ask Gabbay to work towards an alliance with Meretz in light of poor poll numbers. 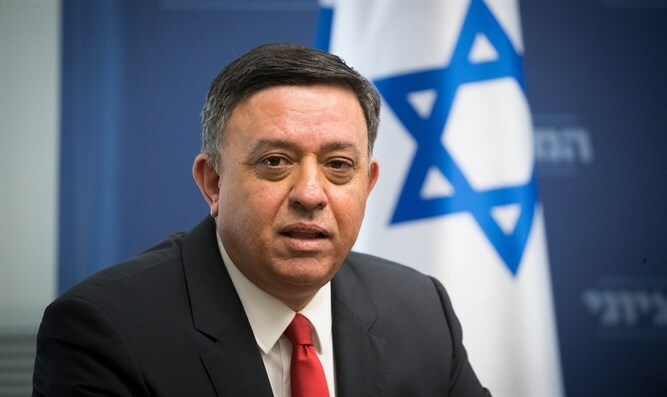 Senior officials in the Labor Party asked party chairman Avi Gabbay to work towards an alliance with Meretz due to both parties’ constant bad showings in the polls, Channel 13 News reported on Thursday. Gabbay refused to even look into the possibility and did not explain his decision, according to the report. According to the latest poll published on Thursday evening on Channel 13, the Labor Party is at a new low with just five Knesset seats, while Meretz is slightly above the electoral threshold. About a month ago, Gabbay said that before the elections "there will be surprises and connections." "There will be a change in power here only if members of our camp pledge to the public that after the elections we will support the strongest person within the camp,” Gabbay said at the time. "The members of our camp must make a commitment not to sit in Netanyahu's government. I call upon our members in our camp to commit themselves to a coalition of change. I was a minister in Netanyahu's government and I know that it is impossible to change things from there," he added.